I love potatoes. It's no secret. I have loved them my whole life. 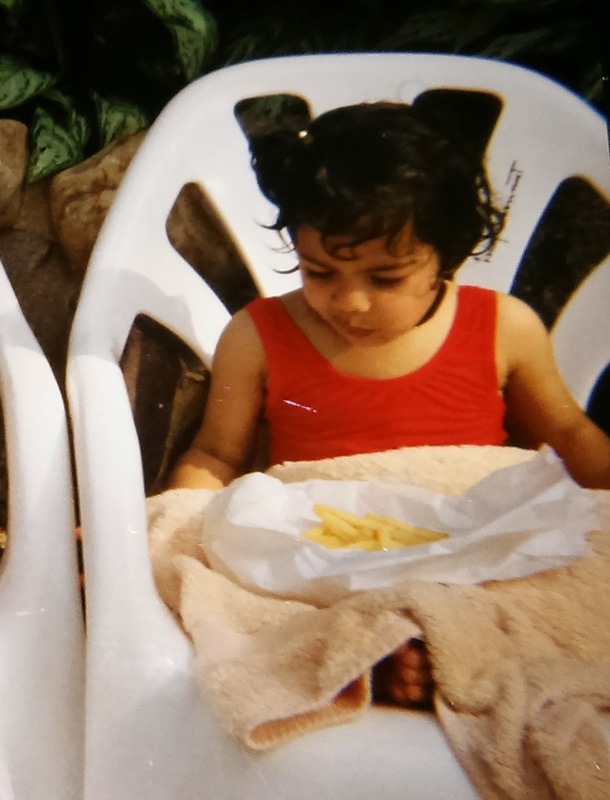 It started from childhood, and chips. (My childhood involved a lot of chips - written about here - and waffles, and mash and jackets). Oh, it was the life! I had such an attachment to my chips. My uncle likes to tell this story about me eating chips in a swimming pool, before I had even learnt how to swim. Yep, in a swimming pool lumped into a rubber ring, eating chips! It's the kind of story that surfaces any time I go for a second helping of chips (and have them down me before you can blink). Or a second helping of anything really. It's less a story about my love of chips and more about me being quite possessive over my food. You have been warned! Personally I think he just wanted to steal a few. But I was a smart kid, you see. I knew leaving chips on the side of the pool just would not ensure their safety. And safety, of course, is of the utmost importance when it comes to chips. You have to guard them with your life. That's just normal chip protocol, right? Anyway, the point is I like chips. And potatoes generally. With 23 years of potato experience behind me, I've eaten potatoes most ways. So, this week I challenged myself to try making something new with potatoes. Something I've not tried before. It's the garlic incisions that make this potato. And the buttery, crispy, salted skin. Hasselback potatoes, where have you been all my life?! Although I have to say, the pesto I've paired with mine is exceptional. An impromptu whiz of something green, garlicy and nutty resulted in my best pesto yet. Lucky for you I have written the recipe for both potato and pesto below! 1) Start with the potatoes. Slice across the potato, leaving about 1 cm between each slice. Slice almost to the bottom of the potato but not quite all the way through. 3) Lay the potatoes on a baking sheet ready for the oven. 4) Liberally rub each potato with butter and coat in a little oil. Season well - again you don't have to stop at salt and pepper, you could try some different herbs and spices. Just make sure you are generous with salt as this will give your tatties a crispy finish. 5) Bake the potatoes at 200ºc for about 45 minutes (depending on the size of the them) or until golden and crispy and cooked all the way through. This recipe makes more pesto than you need for the hasselbacks. But it will keep in the fridge for up to two weeks and is perfect in pasta, on toasties, through a salad or even dolloped in a minestrone soup as I enjoyed it. Now simply serve the pesto with your hasselbacks and enjoy as a dip or smothered over the top! If you know any more interesting things to do with potatoes, please feel free to get in touch. I can never have too many potato recipes!